Lobb & Kerr Lawyers is a dynamic law firm located in the Eastern suburbs of Melbourne. The firm’s senior partner, Colin Lobb, commenced practising in Mount Waverley in 1969. The firm was established in the 1980s by Colin and has grown into a well-respected legal practice within the Mount Waverley community. The firm’s other partner, Darren Kerr, joined the firm in 1993 and became a partner in 2002. Our team consists of dedicated and experienced legal professionals and we pride ourselves in offering a personalised service with cost-effective and sound solutions in a wide variety of legal matters. As a suburban firm we are able to offer our clients quality expertise and legal services without the overheads of the larger city firms. We practice in all general areas of law and specialise in Wills & Estates Law. 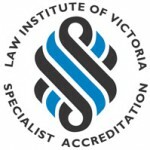 Our partner Darren Kerr is a Law Institute of Victoria Wills & Estates Accredited Specialist, one of only a small number in the State. We are located on the first floor of 262 Stephensons Road, Mount Waverley and also maintain an office on the ground floor at this address for the convenience of our clients who may have mobility issues. Please let us know in advance if you require an appointment in our ground floor office.